Hand Blown Solar Powered LED Glass Garden Stake brings whimsy and color to any corner of your space! The beautiful, eye-catching design features a molded glass bird top and has multi colored led lights that look amazing. This garden stake has a solar powered led light that lights up at night while it charges in the day. 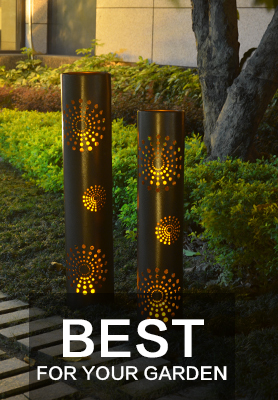 Great way to attractively illuminate your garden borders or potted plants!